With four restaurants in greater Burlington, full-service private events, and farm-to-office catering, The Farmhouse Group has all bases covered. 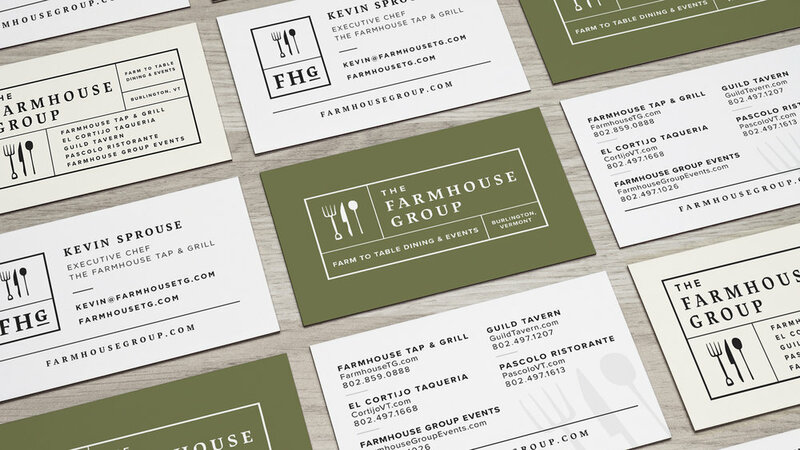 With four restaurants in greater Burlington, full-service private events, and farm-to-office catering, The Farmhouse Group has all bases covered. Menus are designed to showcase local ingredients, farms, and food producers, all while supporting the development of local food systems by offering inspired dining experiences in their community. The Farmhouse Group believes high-quality food grows from the roots — the farms. Working closely with Vermont farms and food producers, they pick the highest quality ingredients available and build each restaurant’s dishes from there. 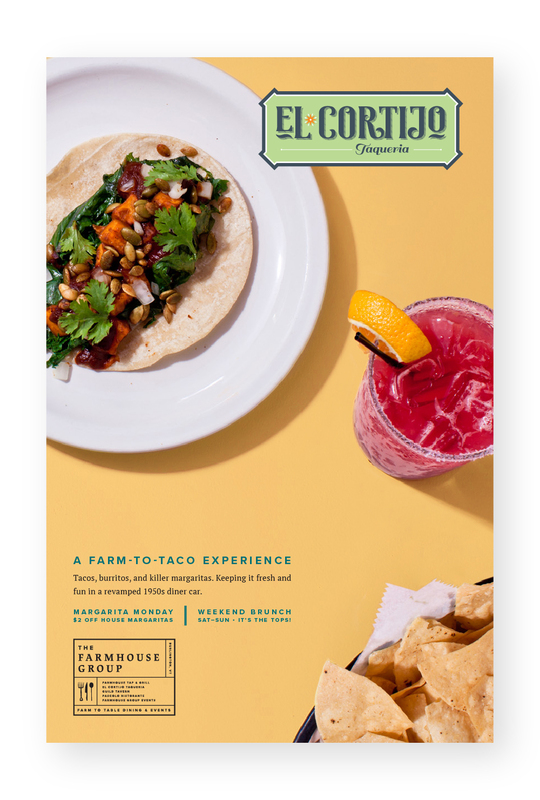 Oxbow partnered with The Farmhouse Group to elevate their brand and bring that local connection to life. Pulling four unique restaurants and two catering branches together, Oxbow created a new mark baking the many facets of The Farmhouse Group into one cohesive look. Clean, streamlined, and modern, the new brand uses a grid system and contemporary typography to elevate the parent group. 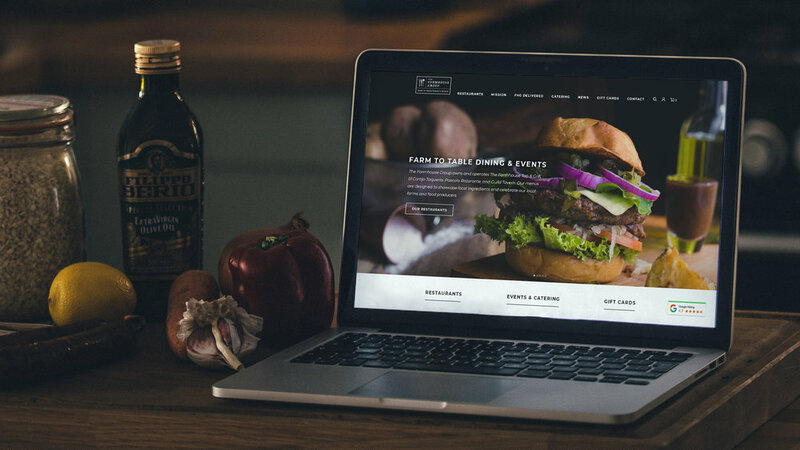 The mark was designed in a system to work in conjunction with all aspects of The Farmhouse Group family, from physical signs and posters to an updated website and a mouth-watering video. Through on-set, hands-on direction and production paired with logo animations — and, of course, plates and plates of delicious food — Oxbow served up an overview video to capture the flavor of each restaurant and showcase the group as a whole. More than just a side dish, the video was featured on the updated website, giving users a small taste of all The Farmhouse Group has to offer. Tastebuds aside, Oxbow crafted both creative and strategic solutions to reinvigorate the brand. Boosted awareness, reimagined user flow, and digital integration pulled more people into the restaurants for farm-to-table dining experiences. An increase in website traffic. An increase in the average length of each website visit. An increase in mobile engagement.